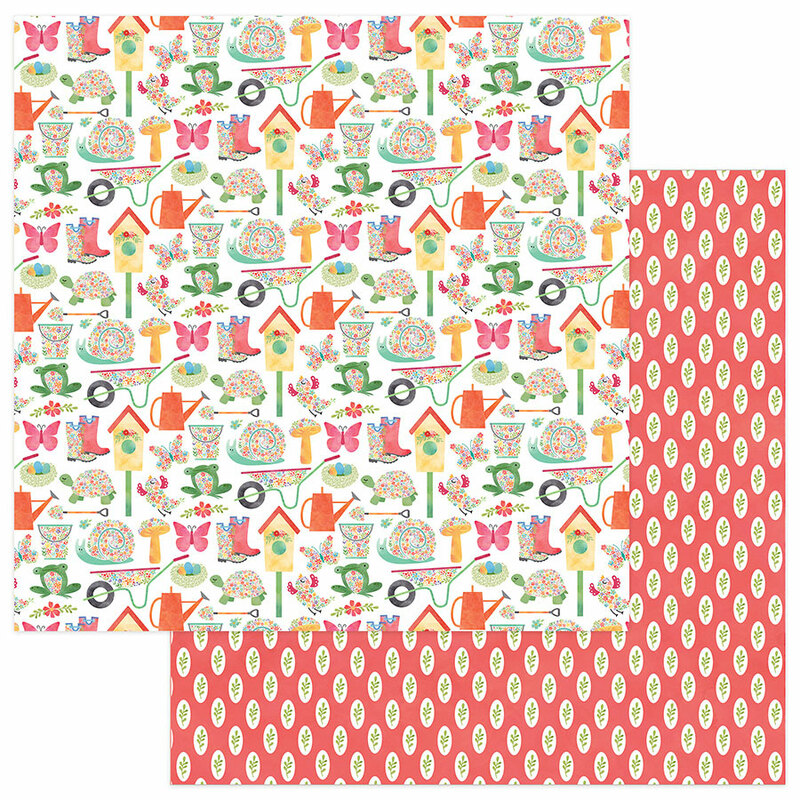 This 12x12 double sided paper has all things Spring - - Including rain boots, insects, birdhouses & more. The reverse side is a nice coral with Leaves in a Cameo. Part of the Spring In My Garden Collection by PhotoPlay Papers. Look for other coordinating papers & products.